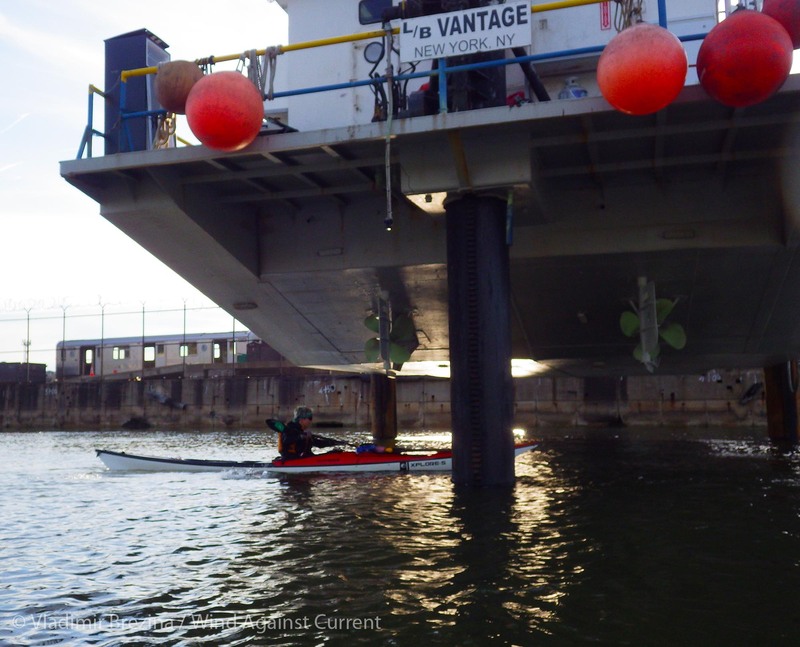 Sea kayaking, most of the time, is about wide open waters… But, paradoxically, kayakers also can’t resist exploring tight spaces. They poke the nose of their boat into every sea cave they come across, for instance. 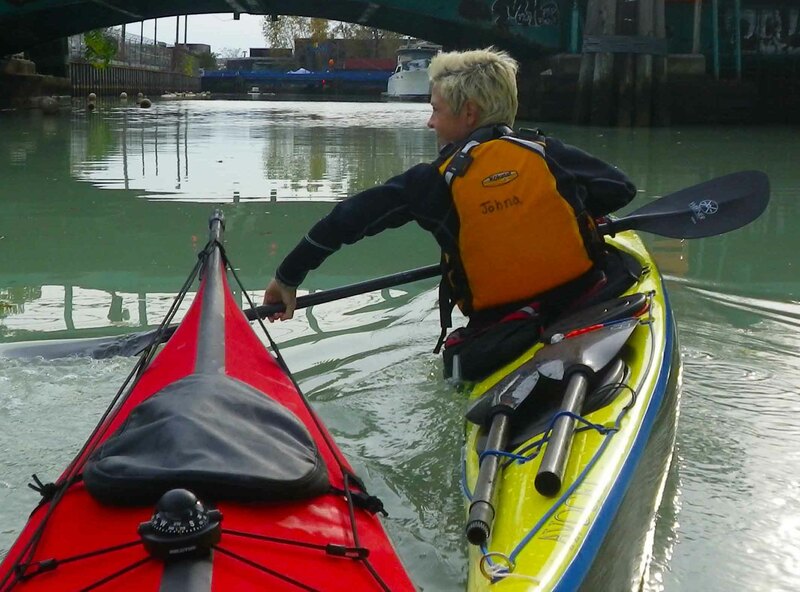 Urban paddling is a bit different. Instead of sea caves, we have low bridges, tunnels, passages under piers. 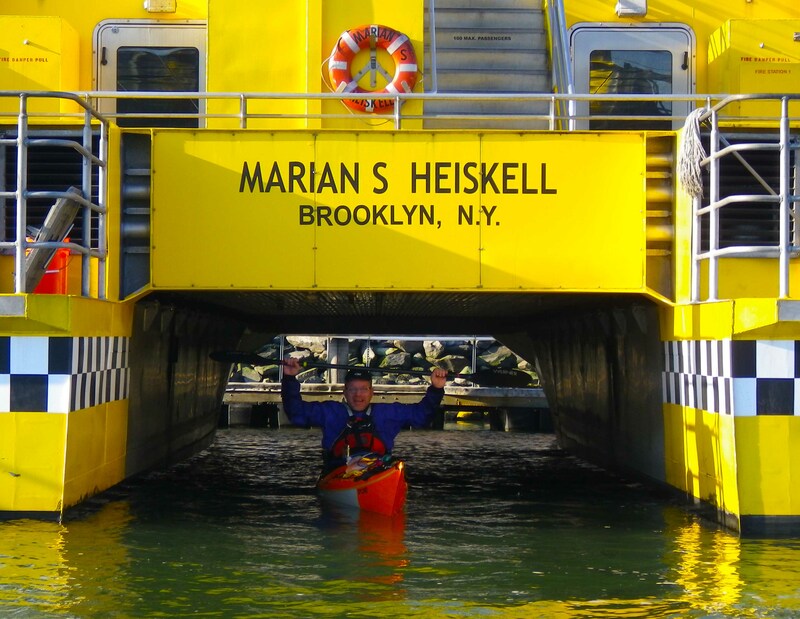 This entry was posted in Kayaking and tagged Boats, Kayaking, New York Harbor, Urban. Bookmark the permalink. I can no longer kayak very often and I love exploring tight/shallow places! Love the last photo. What spectacular color. Fun post. On edge is always fun – pushing the envelope! Wow! That is quite an experience. 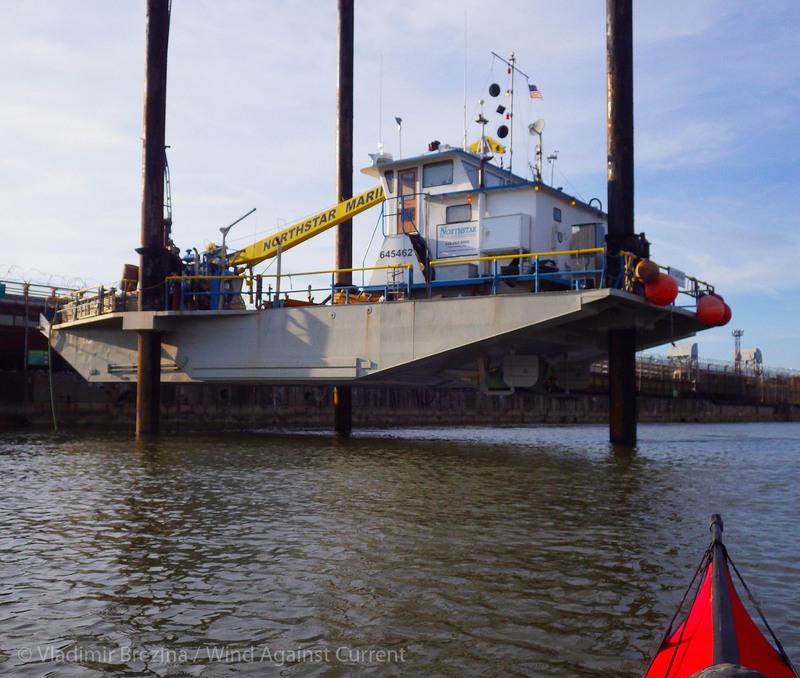 Pretty crazy going under that barge raised up on spud piles! 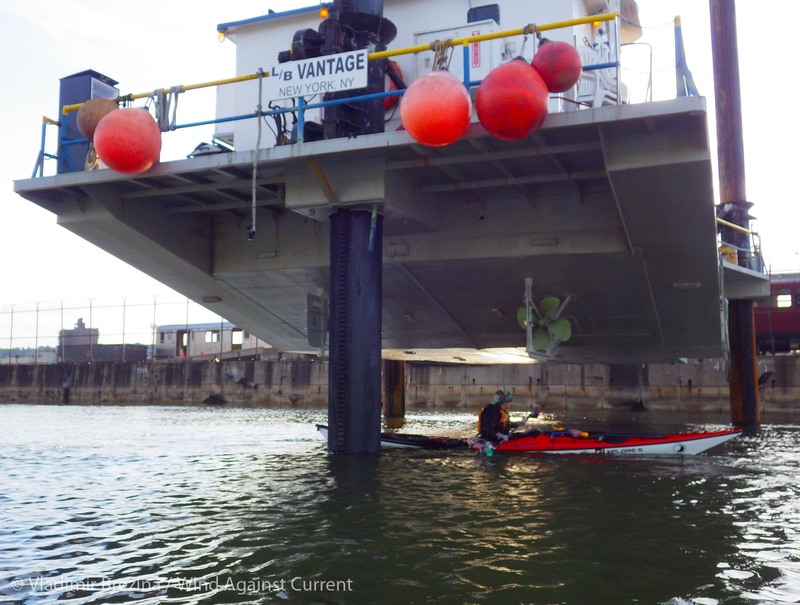 The beauty of ‘wearing a boat’ allows for great exploration… tight spaces are always such fun!